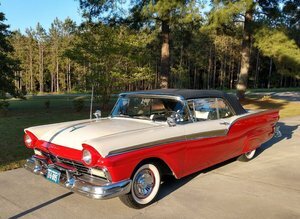 Take a stroll down memory lane with this beautiful numbers matching 1959 Ford Fairlane 500 Galaxie Skyliner! 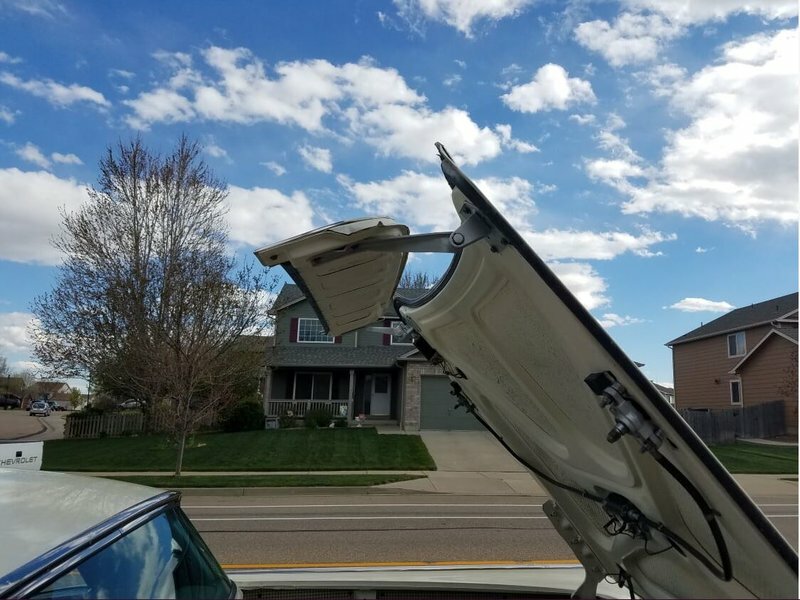 This two-door convertible features a handsome styling that features a sleek look and low tail-fins. It comes dressed to impress with a beautiful Colonial White exterior, complimented by an exceptionally clean Blue Two Tone interior with tuck and roll seats. Powered by a all numbers matching 352 CU IN V-8 engine that is paired with a all numbers matching 3-speed automatic transmission that offers an impressive 300 horsepower, this full-size Ford is eager to supply an enjoyable driving experience. 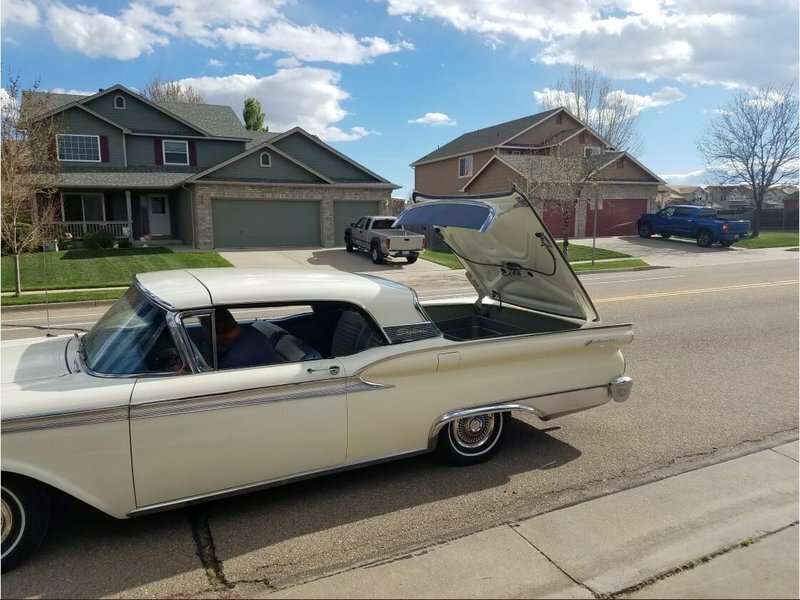 With only 104,000 miles you can rest assured that this Fairlane 500 will turn heads for many years to come! This Ford Fairlane 500 Galaxie Skyliner was build in the 1959 model year with only 12,915 ever produced. Very few of those vehicles are still on the road. Fewer still is the number of units in such fantastic condition as this one. 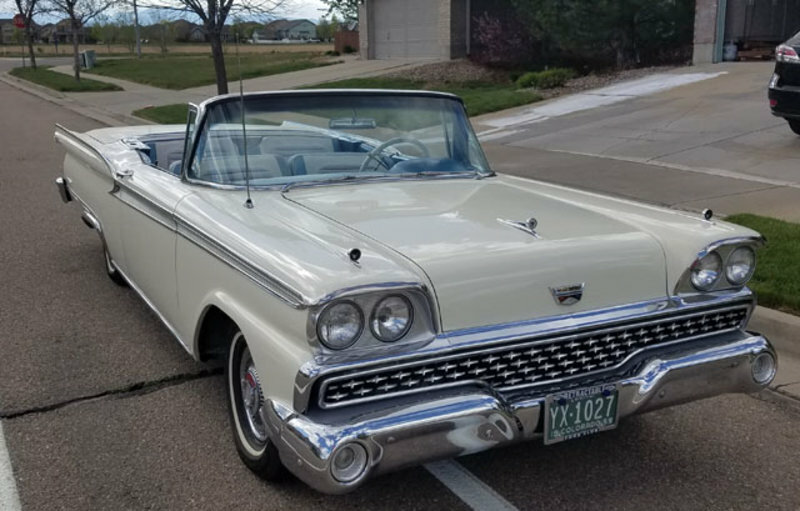 This second generation 1959 Fairlane 500 Galaxie Skyliner brought a plethora of styling changes that offered a distinct placement as Ford's top-level, full-sized model. It comes with a plethora of options and features that add value to this vehicle's timeless stance. This Ford Fairlane 500 Galaxie Skyliner has been very well maintained. It is a must see/drive to truly appreciate everything it has to offer. In fact, come see for yourself! 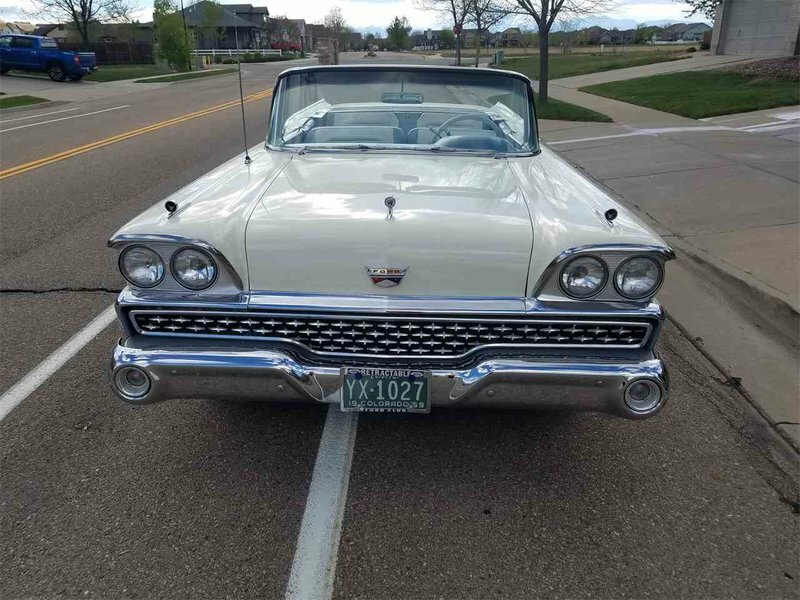 You will agree that you cannot find another 1959 Ford Fairlane 500 in this condition for the asking price. Call today for more information on how you can experience the nostalgia and charm of this impressive classic gem!! !